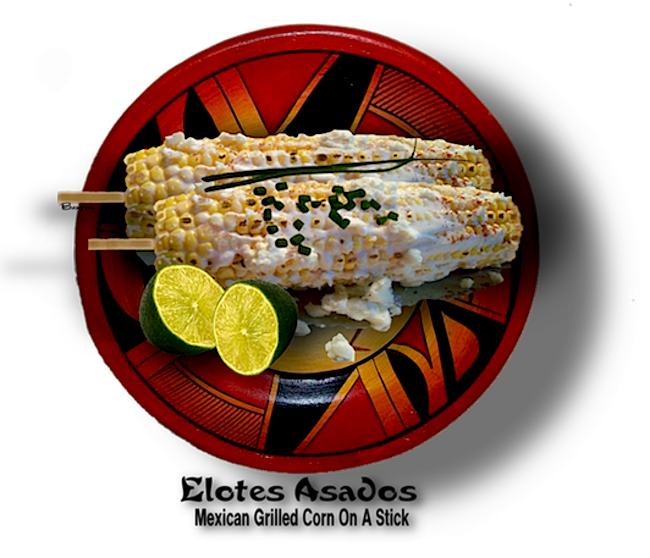 "Elotes Asados" is Mexican "Street Food" and is basically ears of sweet corn cooked on a grill and served up with some lime/butter sauce and some red pepper to give it a little kick. A meal in itself and the taste will totally blow you away. You can make Mexican street food at home anytime you want and you will have total control over how it is prepared, how hot and spicy it will be and the quality of the ingredients. Give this recipe a try, as it is easy to prepare, nutritious, and a great summer evening supper that everyone will enjoy. If you like, it is easy to adjust the ingredients to fit your lifestyle. 1. Grill the corn, turning occasionally, until about ½ of the kernels are golden and caramelized. 1. Melt the butter in a small saucepan, stirring occasionally, until the butter begins to brown to a golden brown. 3. Turn off the heat, let cool and add the mayonnaise, rewarm before serving. 3. Let your guests add any extra cayenne,  hot sauce,  Tabasco® or Yucatan Sunshine® themselves. If you have sauce left over,  it will last in the fridge for at least a week. Go buy some more corn!